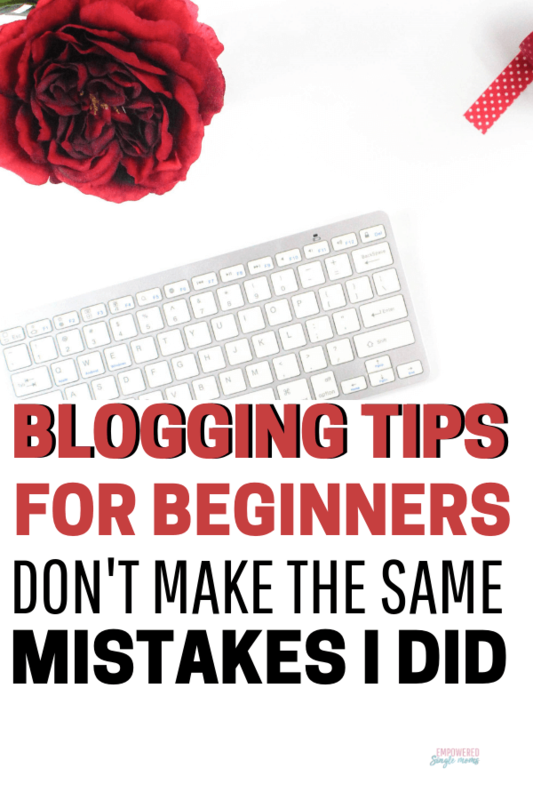 Inside: Tips for beginners to start a successful blog. I’ll tell you about the mistakes I made, what I wish I knew and what you can do to save time and frustration. Starting a blog for me was like a comedy of errors. I picked the wrong name, the wrong platform, a clunky theme and the way I personalized it wasn’t very attractive. After 6 months I would have given up had I not been enjoying writing and met my first blogging friends. I want to save you some of the frustration I went through and invite you to be one of my blogging friends. One of the fun things about blogging is all the interesting people I’ve met through blogging. Some people start a blog to make money. That can work if you work hard and keep at it. The other day one of my mentors said to plan on it taking two years of regular blogging before you make an income. Some people make a good income much sooner and some it takes much longer. If money inspires you to blog check out this income report: Michelle is a rockstar when it comes to making money blogging. As in music most people are not rockstars. Many people do make an income blogging, but it is not quick or easy. There are faster and easier ways to make ends meet. There are some great reasons to start a blog. You can help people if you blog about a struggle you have been through or are going through. There are many blogs about kids with special needs, having a chronic illness or other difficult situations. You can also blog as a way to express yourself. I really enjoy the process of writing articles to help people with advice or ideas to make them think about life differently. When you know your why it is much easier to keep going when the going gets tough. You also have something to use as a benchmark to know if your blogging goals are being met. Is blogging frustrating sometimes? Absolutely but so is golf, putting jigsaw puzzles together and meaningful work, so don’t let frustration deter you. Blogging can also be a great way to make new friends. I’ve made friends in the people I write to and other bloggers. There are so many people I would have never had the opportunity to know had I not started blogging. My first blogging tip for beginners is to focus on one thing at a time. There are so many things to do and so much to learn about blogging and online business. The opportunity to learn new things is another one of the things that I delight in on my blogging journey. I have been a psychotherapist for over 25 years, so the new things I learn seem more like simple tweaks or calling something old by a new name. With blogging, I feel like I learn new things every day. If you don’t enjoy learning then blogging may not be for you. 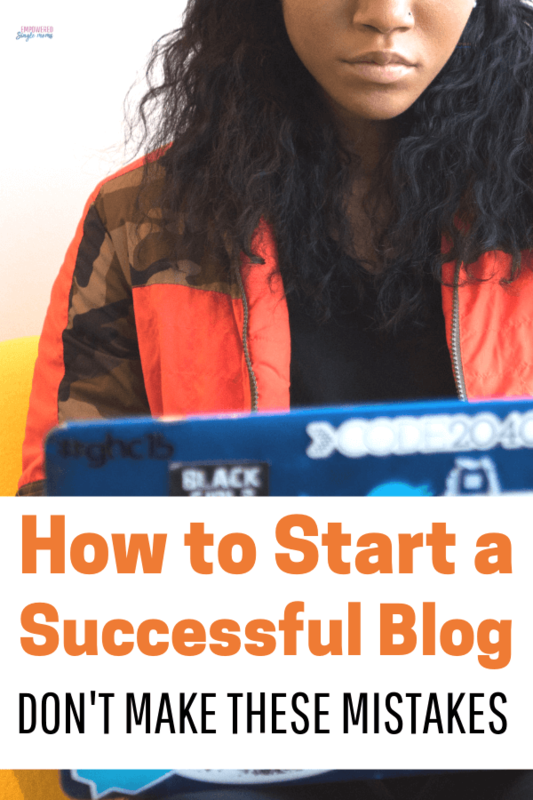 Here are 8 steps to start a successful blog. Take one step a day and at the end of the week, you will have a blog and a group of bloggers to start your blogging network. The first step to having a successful blog is to pick a topic. What is something you are passionate about that you can write about for years? Who are you excited to write to? When you are picking a name it is better to be clear than clever. I made this mistake. When I first named this blog I named it Parenting 2 Home Kids. This made total sense to me I was writing about kids who live in two home. The name didn’t make sense to other people the way it made sense to me. At least 25 percent of people I told the name of my blog thought I was writing about homeschooling. I later learned using a numeral in the name is not the best practice either. Before I settled on who I wanted to write to I wrote a list of 100 possible blog posts I could write. That helped me feel confident if I published a post a week I would have something to write about for at least 2 years. Who are you writing to moms, pet owners, businesswomen, teachers, homeschoolers? Whoever it is use that noun or a synonym and combine it with an adjective. Let’s say you want to write to unicorn lovers. You could use Magical Unicorn Lovers, Happy Unicorn People, Sparkly Unicorn Collectors, Silly Unicorn Owners. You get the idea. Check to see if your name is available. If it is buy the name. I register and buy my blog names at Namecheap.com. It works great for me and the name is easy to remember like any good blog name. I use Siteground and they have been good to me. They were not my first hosting company. I started with another company, but when I wanted to change the name they gave me a 3 month timeline. I contacted Siteground and they moved my site and changed the name without me losing any content in less than 24 hours. Sign-up for your Siteground hosting plan here. 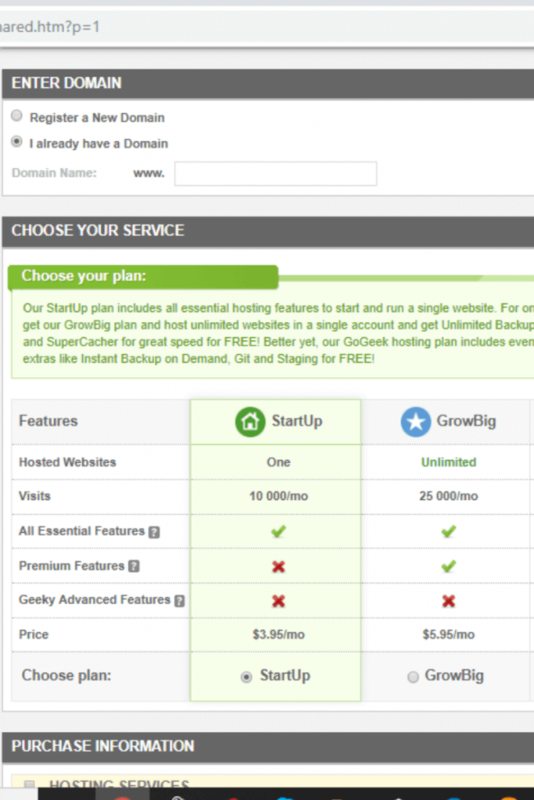 Choose I already have a domain and enter the name you registered at NameCheap.com. Choose the starter plan. For extras I have Siteground Scanner it helps me feel more secure that my site is protected from hackers. I’ve put a lot of work into it and I don’t want a hacker to mess with it. Install WordPress.com I made a mistake here too. Be sure to use the .com WordPress. This was confusing to me too. You could use the other WordPress which is free, but that is limiting and a hassle when you decide you want the features that .com WordPress offers. At first, I used a different hosting company. For the first several months every time I wanted to do something I couldn’t figure out I would do a search looking for a tutorial. Very frustratingly the only tutorials I could find were telling me how to do what I wanted on Word Press, not the hosting company I had unwisely chosen. I use Genesis. This also was not my first theme choice. It was super confusing. Finally, I got advice from an experienced blogger I met at a conference. She recommended the Genesis Theme because it has child themes making it easier to change and makes your site more secure. Genesis is set up for good search engine optimization. I have Foodie Pro as my child theme again my new blogger friend recommended it and helped me set it up. Find out more about the Genesis Theme here. Now you are ready to write your first blog post. Pick one of the topics from your list and start writing. I use Grammarly to catch my spelling and grammar mistakes. There is a free and paid version. Be personable it is more fun to read if you show your personality. I made this mistake at first too. I wrote like I was writing a textbook. It was boring to read. Writing is like any other skill the more you practice the better you will get. Once you write your content you will want people to see it. Pinterest is a great place to promote your blog content. You will need to make pins for Pinterest. PicMonkey and Canva are great tools to make Pinterest pins. I tried Canva at first but found it confusing. I found PicMonkey easier to learn at first. Once you have pins to pin on Pinterest you can get Tailwind to help you share your content. Sign Up for Tailwind Tribes here. Tailwind makes sharing on Pinterest so much easier because you can schedule several pins at once. I use MailerLite for my mailing list. MailerLite wasn’t the first tool I used to build a mailing list, but it has been the easiest for me, since technology is not my strong suit. If you are like me your friends really don’t understand what blogging is or why you would want to start a blog. It helps to have friends who understand blogging and can answer your questions about blogging. I made my first blogging friends by going to a blogging conference. You can also make blogging friends by joining blogging groups on Facebook. You also need a blogging guide. Kim Anderson is my blogging guide. She has a private membership group, Kim’s Mentored Membership Group. I love the group because Kim has road maps depending on if you want to make blogging a business or blog as a hobby. She does Facebook lives in the group to encourage us. She will answer quick questions and has monthly live calls where she will discuss issues in person. Join me in Kim’s Mentored Mastermind Group here. There you have it in 8 days you’ve set up your blog, wrote your first post, made it look nice, have a place to collect email subscribers, learned the basics of making Pinterest pins, have a tool to share Pinterest pins and have a safe place to ask questions. If you like to have reference books when you are learning something new Problogger: Secrets to Blogging Your Way to a Six Figure Income by Darren Rowse and Chris Garrett or How to Blog for Profit Without Selling Your Soul by Ruth Soukup are both excellent beginner blogging books.